For kids, there is nothing better than taking up a new sport or trying an exciting new activity. 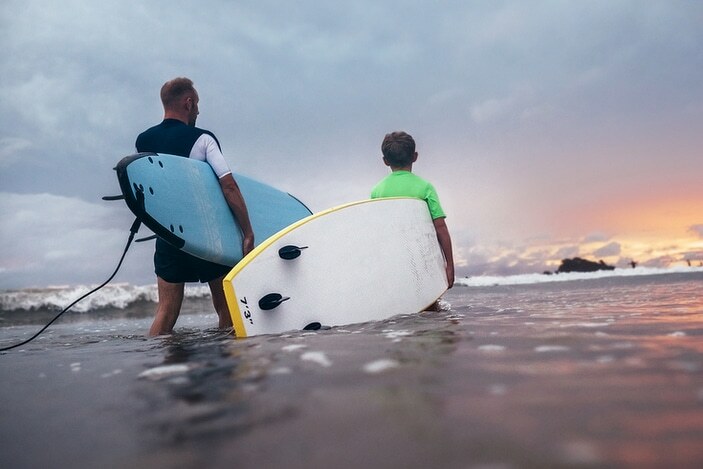 If your kids love the water, are confident swimmers and are eager to do something different and totally exhilarating, then surfing can be an awesome option for them to try! It gets them out in nature, teaches them about water safety and life saving, and is a great way to get active and fit and have fun! There are many surf schools around Brisbane that offer beginner surf lessons for kids, from small or large group lessons to private lessons. 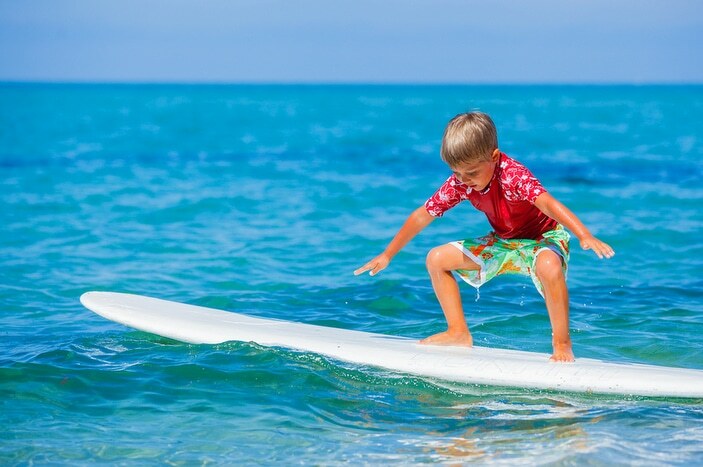 Most lessons focus strongly on beach and water safety skills, as well as getting kids paddling, standing up, and catching their first waves! Weet-Bix Surf-Groms is a dedicated kids’ surf program to develop surf skills, ocean awareness and beach safety, to set children up for a lifetime of fun in the water. 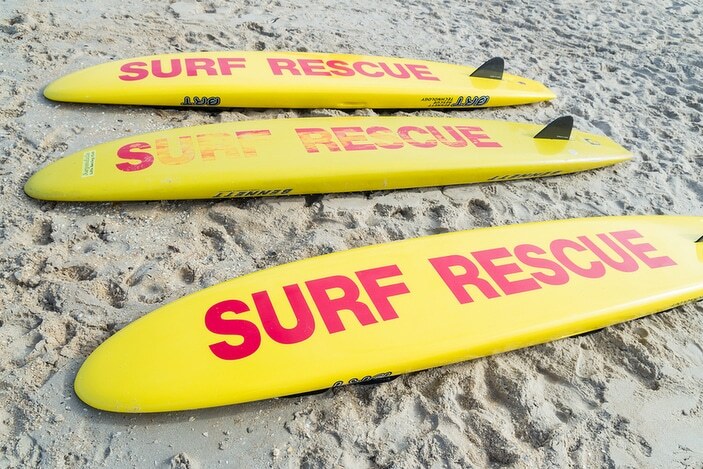 Surf Life Saving Queensland has a focus on a lifesaving skills but is also a great starting point for all water babies to build their water confidence and have lessons in wading, running, swimming and board paddling, which can give them a strong foundation for great surfing skills. There is even an opportunity for beginners’ surf lessons in a wave pool close to Brisbane, for anyone who wants to have a go at riding a wave before heading out into the ocean. More details of all of these great options are given below, to help you find the perfect way for your Brisbane Kid to get surfing! 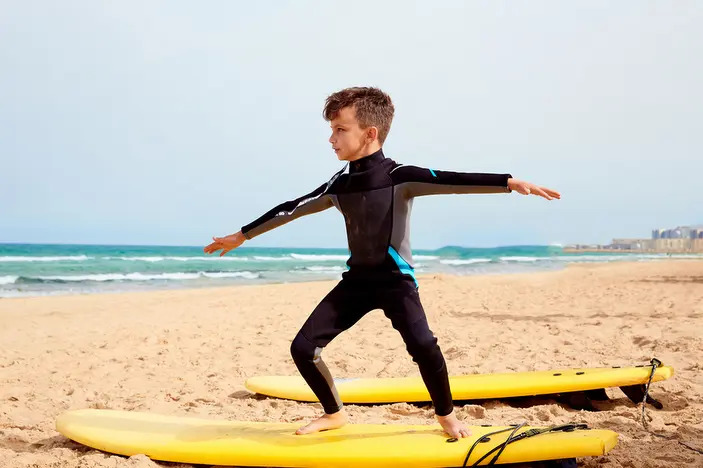 Weet-Bix SurfGroms is a kids’ surf school program aimed at kids aged 5 to 12, with separate age categories for MiniGroms aged 5 to 8, and SuperGroms ages 9 to 12, and separate skill levels within each category. The program is designed to teach kids how to surf at the same time as learning about the ocean environment, water awareness, beach safety and how to save lives, and developing a healthy lifestyle out in a natural environment, all while having fun. Each lesson is carefully planned so that the learning environment is positive and supportive, as well as safe. You can read more about SurfGroms at surfgroms.com. You can also use the map here to find your nearest location. 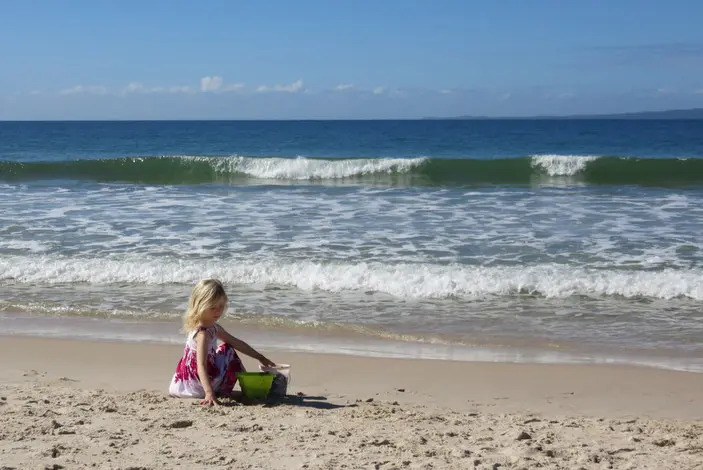 Those closest to Brisbane are at Woorim Beach on Bribie Island, The Spit at Main Beach on the Gold Coast and Broadbeach on the Gold Coast. Surf Life Saving Queensland offers the Junior Activities program for junior lifesavers, known as Nippers. To join Nippers, kids need to be aged between 5 and 13. As part of the program, kids learn about surf awareness and safety, and have lessons in wading, running, swimming, board paddling and lifesaving. For kids keen on surfing, Nippers can even choose to train to take part in club, regional and state surf lifesaving competitions. Each surf life saving club in Queensland has its own Junior Activities program, so head down to your closest club to find out what they have on offer. A list of SLQ branches and clubs can be found here. You can read more about the Junior Activites program here. Little Lifesavers is a great way for kids to try out surf life saving right here in Brisbane at South Bank Parklands. The programs are usually 4 or 5 days long and feature rescue and lifesaving skills, board paddling, beach sprints, wading, dolphin diving and more. There are games and educational and fun activities targeted and building kids’ water confidence and safety. 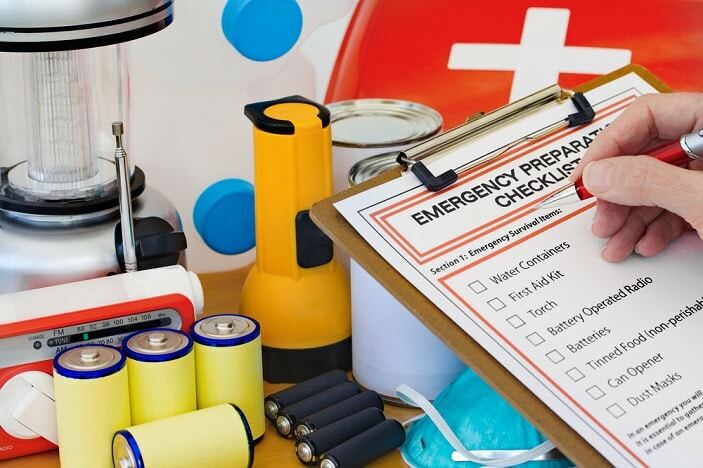 The program is for kids aged 5 to 11 and is run by skilled sure lifesavers. Little Lifesavers also takes place at Orion Lagoon in Springfield, Raby Bay in Cleveland, Maroochydore River on the Sunshine Coast, and Tallebudgera Creek on the Gold Coast. You can learn more about Little Lifesavers at lifesaving.com.au. If your child would like a taste of learning to surf before hitting the ocean, then why not try a Wave Pool Lesson at WhiteWater World on the Gold Coast? The beginner surfing lessons are held daily and last for two hours. 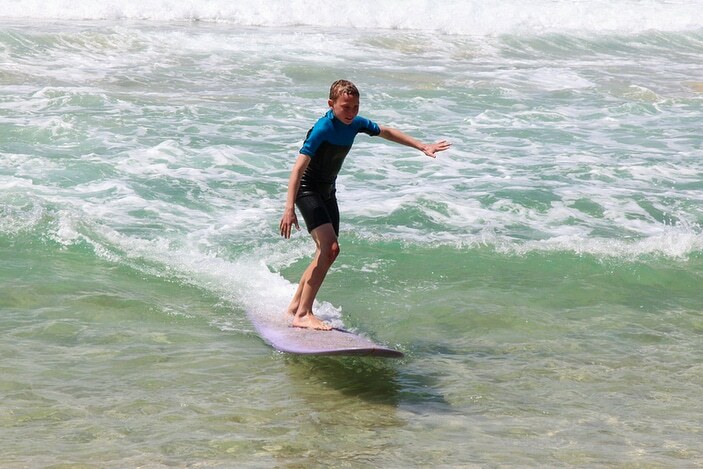 They are designed to give kids an authentic taste of surfing as well as learning about water safety. The lessons are group lessons and are also a great idea for a unique kids birthday party. The minimum age is 5 and parental assistance for children under 10 may be required. For more information about the lessons, visit getwetsurf.com. For more information about surfing in Australia, you can visit Surfing Australia’s website surfingaustralia.com. You can also search Surfing Australia’s approved surf schools directory at learntosurf.com. 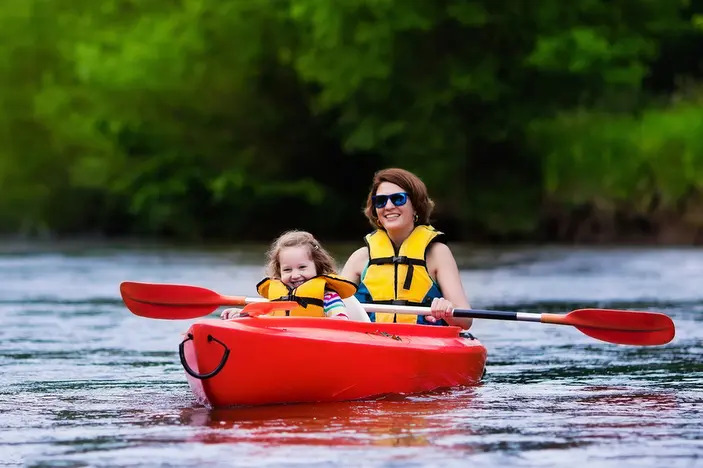 For more water fun with your Brisbane Kids, check out Kayaking in Brisbane with Kids, Fun on the Brisbane River, and Lakes and Dams that You Can Swim in Around Brisbane. Are there any lessons for 15 year olds? there would be sure, you might just need to get in touch with each school individually to enquire. I would say that 15 year old learning to surf would be quite a popular request.